Kimeta yo Hand in Hand (決めたよHand in Hand lit. 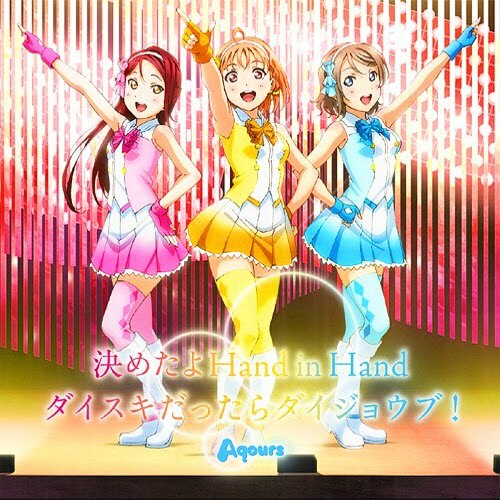 We've Decided Hand in Hand) is Aqours' fourth single as well as one of the insert songs from the Love Live! Sunshine!! Season 1 anime. It is sung by Takami Chika, Watanabe You, and Sakurauchi Riko in Season 1 Episode 1. It was released on August 3, 2016. The song is written by Hata Aki. The song was composed and arranged by Watanabe Takuya.